Tim, Jen and the kids will serve this village of 2,000 people through the local church Silk Grass Baptist. Interested in coming to Belize on mission? You, your family or your church can come and stay at Camp Legacy! ​Families with children ages 5 and up are welcome to come serve and minister to the people in Belize through KK4Jesus. Typically teams fly through cities like Houston, Dallas, Miami or Atlanta to Belize City. 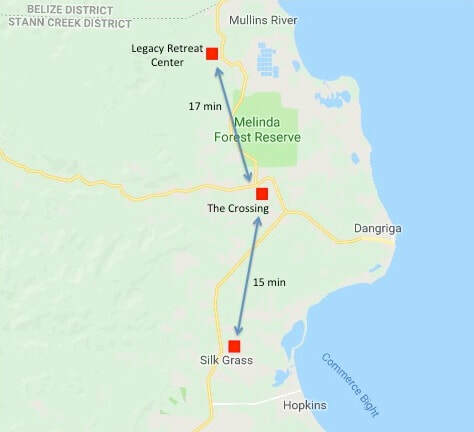 From Belize City you can take a 20 minute plane ride into Dangriga shown on the map below.